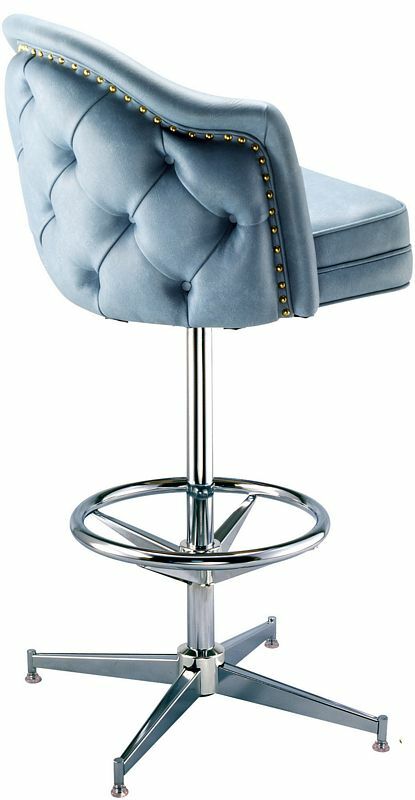 This is a swivel pedestal bucket bar stool. This stool is built for both durability and comfort. This bar stool features clean lines and works almost anywhere. The Carlito stool features decorative channel tufting and a rolled edge. The back is finished with brass nails. Each nail is put in by hand. This bar stool features a chrome plated steel frame with a chrome plated foot rest. This product is manufactured in the USA.